Candy Vote Intro from Candy Vote on Vimeo. Welcome to CandyVote.com - The results are in! Candy Voting Results from Candy Vote on Vimeo. Moey on XM Satellite Radio POTUS '08 listen here, XM Kids listen here, Atlanta Journal & Constitution, the AJC's Peach Buzz, and lots of cool blogs like Decatur Metro and inDecatur. 11alive-candyvote-story from Candy Vote on Vimeo. 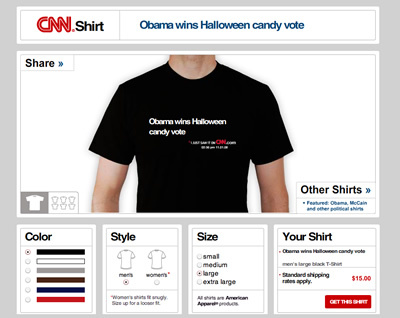 Moey's appearance on CNN Saturday Morning made the website headline list, and somehow qualified for CNN Shirts. Thanks to everyone for their support. We're having a lot of fun with this! Checkout some of Moey's previous costumes. 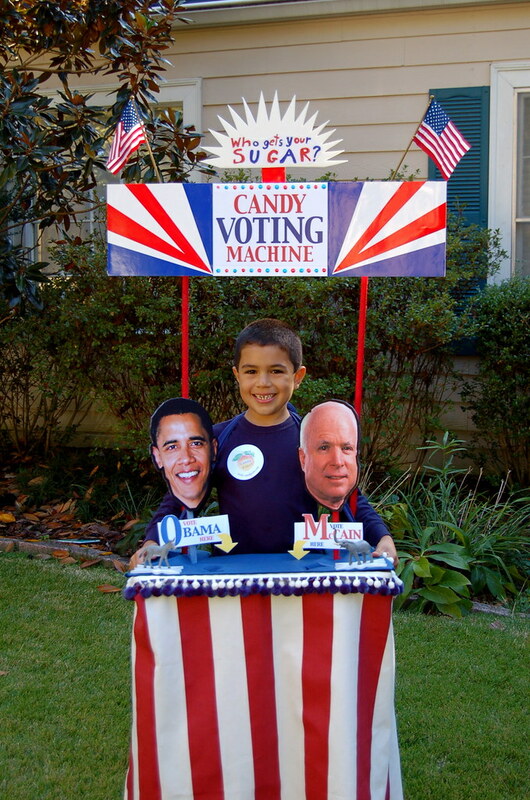 * Polling results are not scientific and represent the number of houses we hit in Decatur before the candy gets too heavy, or the costume falls apart.